Anambra State Chief Judge, Justice Peter Umeadi, on Tuesday, canvassed for the abrogation of the rule that prevents judges in Nigeria from returning to full legal practice after their sojourn in the judicial Bench, noting that other countries have waved such rule. 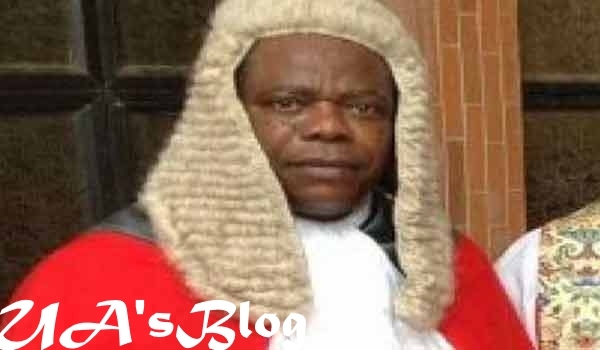 Umeadi who made this appeal while speaking during the activities marking the commencement of a new legal year for the judiciary in Anambra State, noted that a judge will certainly be more relaxed, bolder and more resolute, if he or she is aware that regardless of any untoward occurrence, he or she can still dust the Wig and gown and return to legal practice. The Chief judge, who presided over a special court session to mark the New Year, maintained that a returning judicial officer to the bar would not change the law but would rather improve the legal practice having experienced both the bar and the bench even as he used the opportunity to reel out a long list of achievements by the state judiciary within the legal year and made projections for the new year. In her address, the state’s Attorney-General and Commissioner for Justice, Dr. Ngozi Nwogu, disclosed that the state government and was set to install an electronic case management system in the ministry, in order to keep accurate track of all cases that involves the ministry, “from the first day that the police submitted the case file to the office of Attorney General till the date the case is disposed-off”. Mrs. Nwogu maintained that with “the click of a button, all the cases concerning the state government would be accessed”. The special court session was preceded by a Thanksgiving Mass celebrated by the Catholic Bishop of Awka, Most Rev. Dr Paulinus Ezeokafor, which was attended by the State Governor, Chief Willie Obiano; as well as the inspection of Guard of Honour, mounted by a detachment of the Nigerian Police.